Luxurious sophistication at a fraction of the cost. The Ohto Giza Blue Leather Rollerball is reminiscent of 1920’s design, combining a grained leather barrel, chunky cap with fine geometric engraving, and sweeping curved clip. The lightweight aluminium casing ensures the pen is perfectly weighted, whilst the signature Ohto ceramic tip rollerball refill glides smoothly across the page. 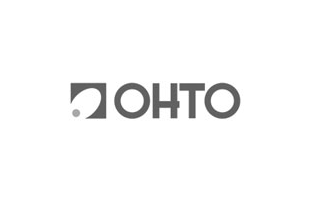 Ohto pens, established in Japan and relatively new to the UK, are characterised by their cutting edge design. Their most celebrated range is the ‘Tasche’, a compact pen ideal for carrying in a pocket. The cap is removed via an ultra-smooth mechanism and placed on the back, giving a full size pen that is comfortable to write with. The ‘Promecha’ range is a draftsmens ballpoint with a needlepoint 0.7mm tip and cross hatched grip for added precision. We stock dedicated Ohto refills.